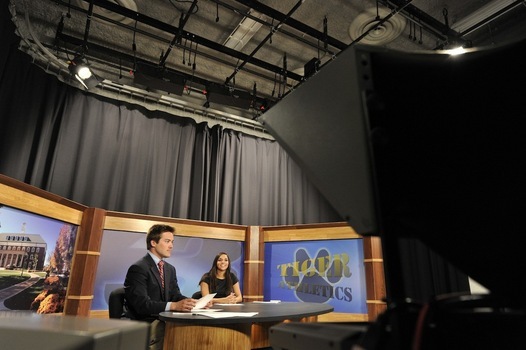 DePauw has a strong and storied history of an influential and active student media. 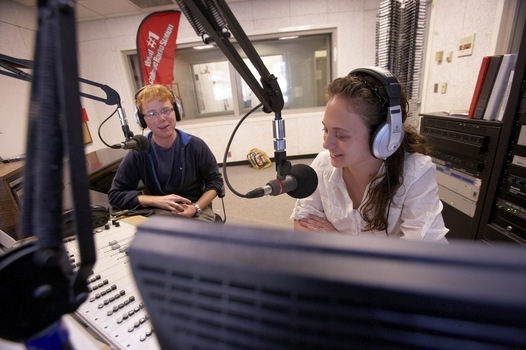 DePauw's student-managed newspaper, radio station and TV station provide fertile training grounds for hundreds of student journalists each year. Indiana's oldest college newspaper, The DePauw, has regularly been named the state's best college newspaper by the Indiana Collegiate Press Association. WGRE Radio has a long and distinguished history of providing radio service to the DePauw and west central Indiana communities. It is regularly ranked among the nation's best college radio stations and is a three-time finalist for the Crystal Award given by the National Association of Broadcasters. Additionally, the Society of Professional Journalists (Sigma Delta Chi), the largest professional journalism organization, was founded by students on DePauw's campus in 1909. A Midwestern Review, DePauw's student-directed literary magazine, features the best works of fiction, nonfiction, poetry, art, and photography by fellow DePauw students. On the air at WGRE. On deadline at The DePauw.